Forum Index > Makers and Manufacturers Talk > Finally: my website! Posted: Sun 08 May, 2016 11:25 pm Post subject: Finally: my website! I have finally managed to get my website up and running. It may not be the final version but it should be good enough to make it public now. Please check it out if you like! I would really appreciate feedback, too! If there's anything you would like changed or such, please let me know. Posted: Mon 09 May, 2016 7:41 am Post subject: Finally: my website! Just checked out your website, Lukas. I have nothing to say but your swords look quite awesome. Fully geared for success Lukas - you waste no time, that's great! Considering how inclined to procrastination I was when I was your age, I can't help being impressed by how fast you made it pro. Looking forward to see more your works. best wishes! I will happily follow the rest - this a great looking site, very mature and well put together and has the added bonus of having great looking swords. Congratulations. The site looks great. I've already bookmarked it, and I'm pretty sure I'll be a regular visitor. Thank you everybody for your comments. I am very glad to hear that you like the website, feel free to visit it anytime I'm also always happy to chat, you can leave comments there as well. Good job on the site. Very well done. Well, Lukas is German to the very core. His work is precise, accurate, efficient. His personality, as I've experienced (You -might- not remember me) is stern, upright and professional, if a bit prim at times. Without any doubt, his work is -outstanding- . He might not be the person -I- would personally go to for ambitious, custom projects I pour my very soul into, since I need a person just as mad and daft as I am to make my visions become reality, to know -just- how I like my pieces. But if you want a precise, efficient and fully working replica of a bladed weapon, he IS definitely a smith to go to. You want accurate, beautiful and very well made swords and other bladed shinies, with a dedication to perfection? He can -absolutely- do that on a very high level, and I can only recommend him for such projects. And Lukas, please do NOT take this the wrong way. Your craftmanship is outstanding, and for most, you might very well be the best or one of the best smiths to go to. Which does NOT detract from the excellent quality of your work one tiny bit. And you bring up an important point I have actually written about (you can find the article on my website under "about"). Picking a custom sword (maker) is a very personal thing. I believe that as a customer you should know exactly what it is that the maker offers. Every maker has a certain style and if one is spending high dollars on a piece, that style needs to be in line with what you want. Not everything is for everybody. The personality, approach and style of a smith is extremely important when choosing the best maker for your dreams. And for every dream, there is a specific, perfect maker. 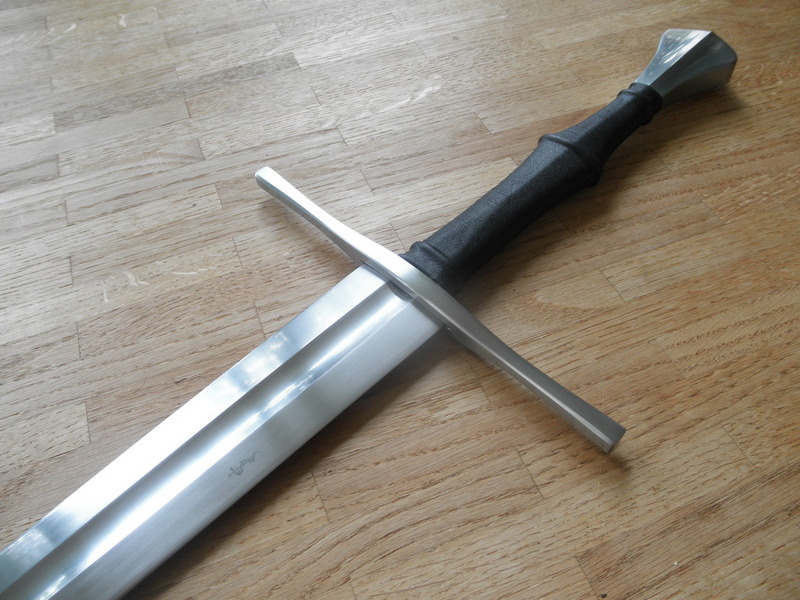 Excellent assay: What Is A Sword Worth?